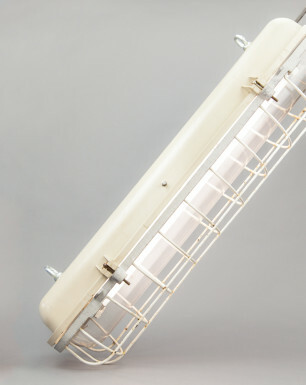 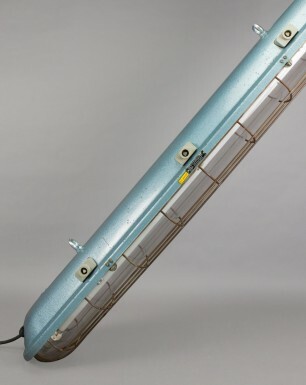 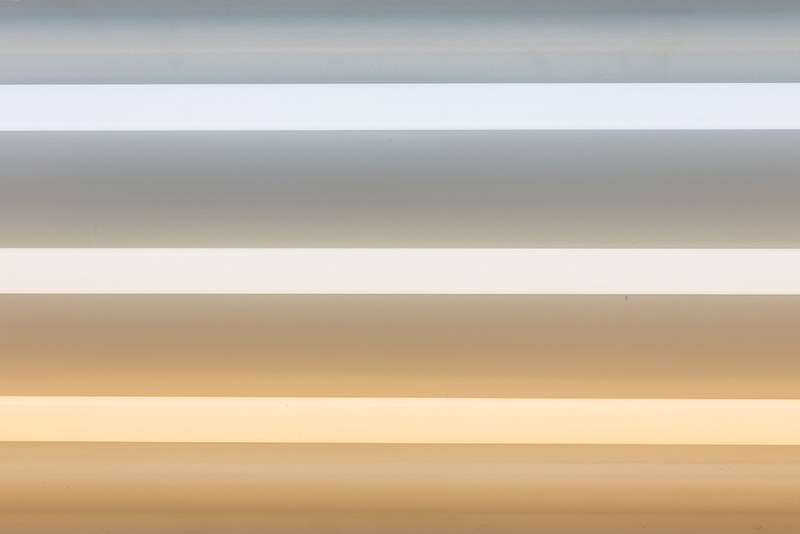 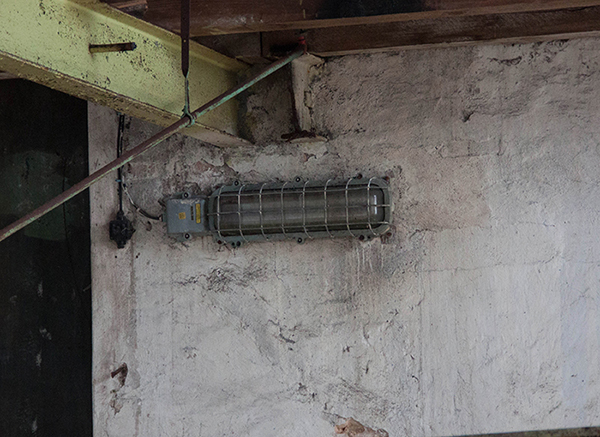 This tough fluorescent light can be considered the smaller version of the ‘Crocodile’. 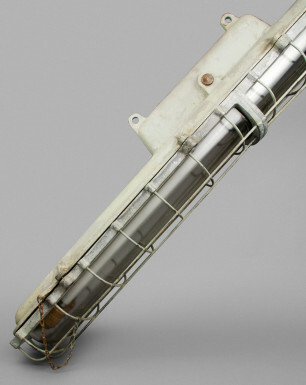 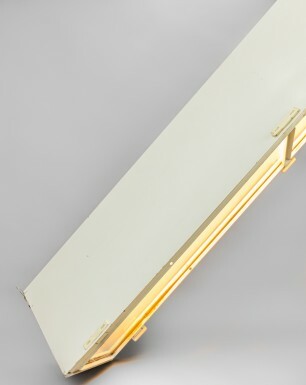 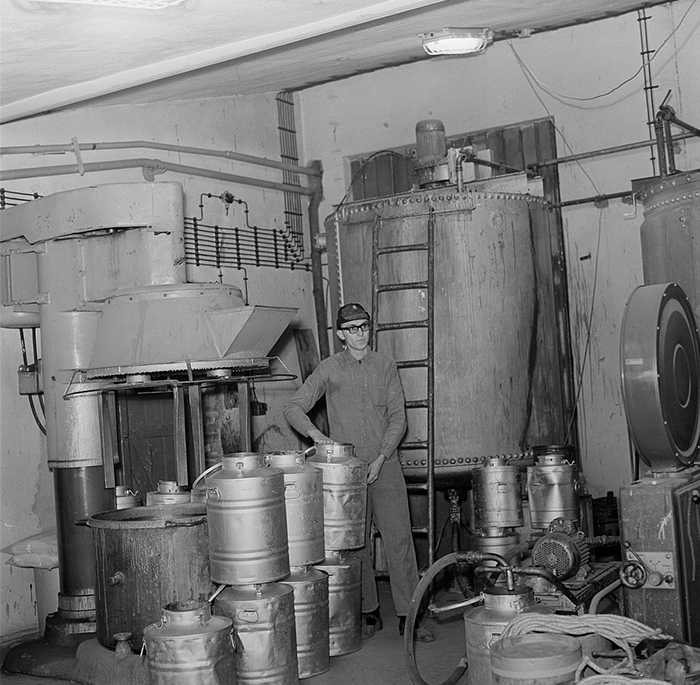 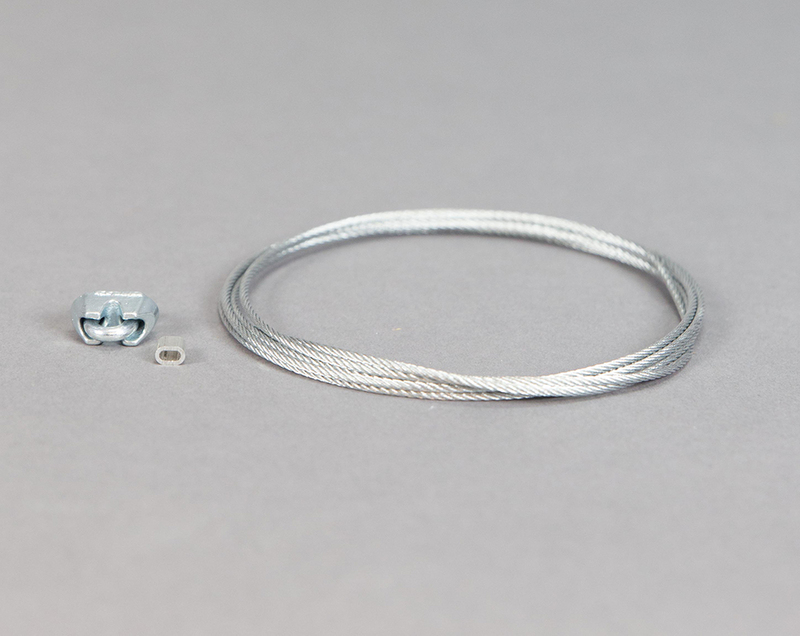 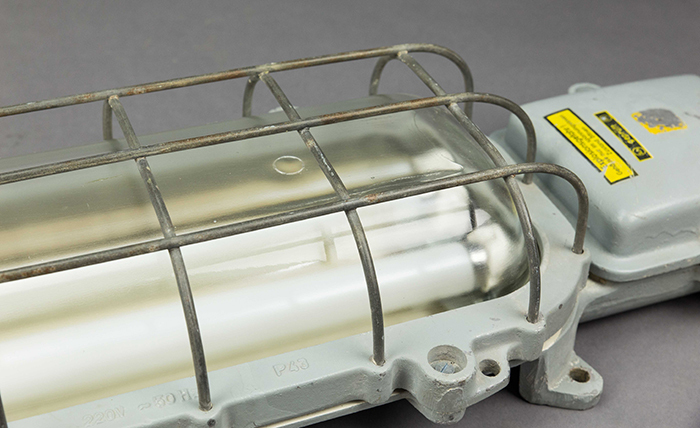 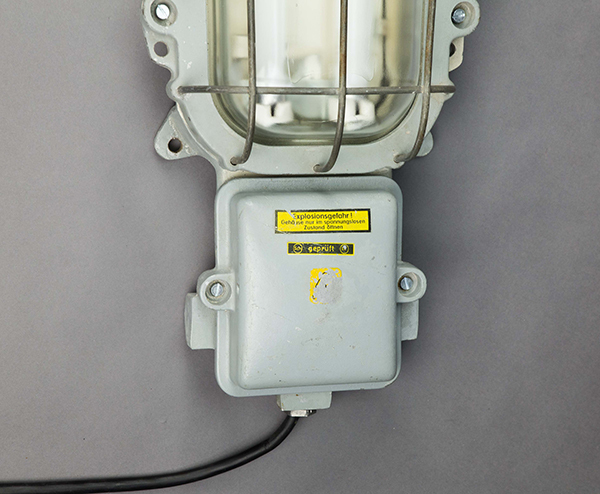 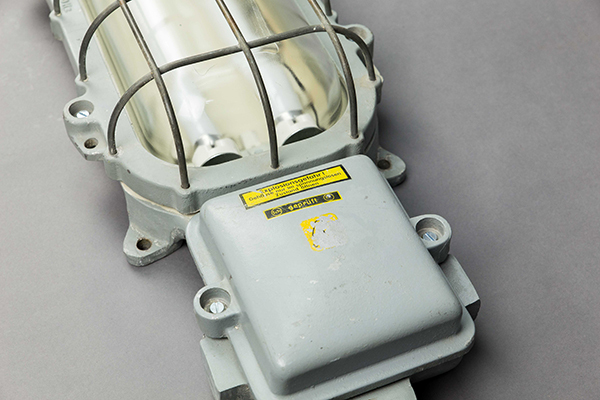 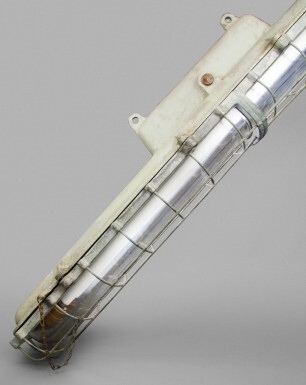 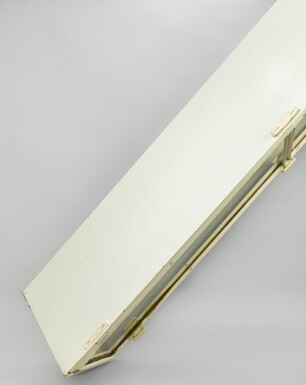 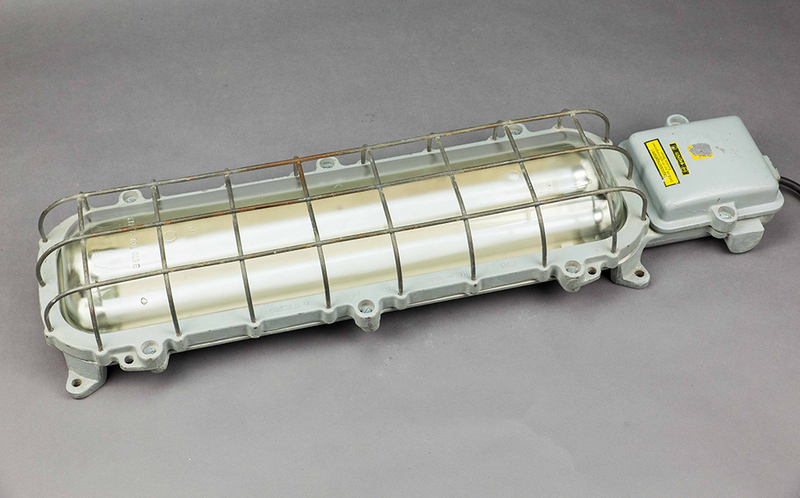 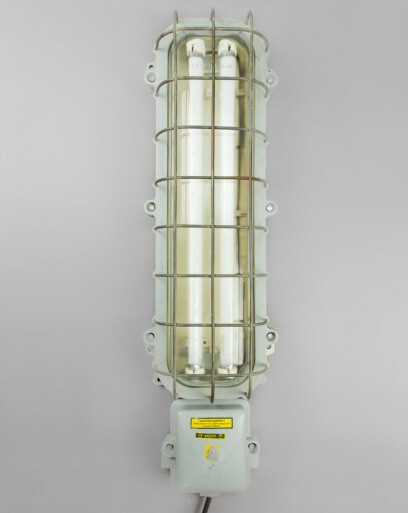 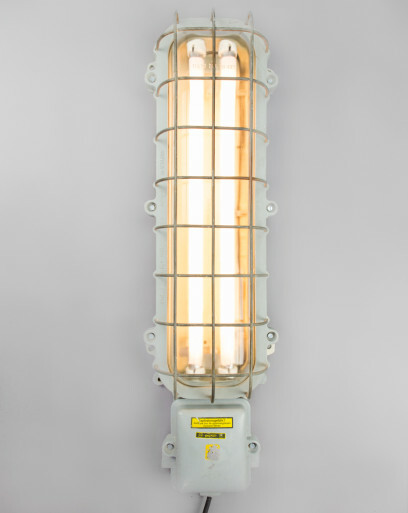 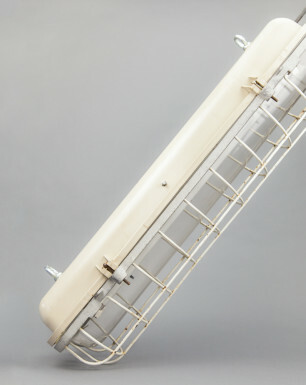 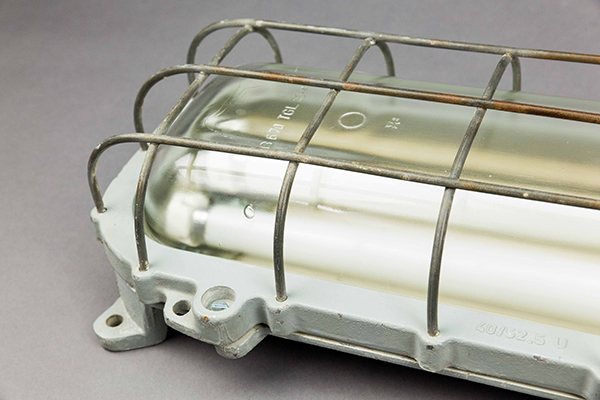 The explosion-proof fixture features a cast-iron casket combined with a caged centimeter-thick glass hood and was mainly used in areas occupying heavy machinery. 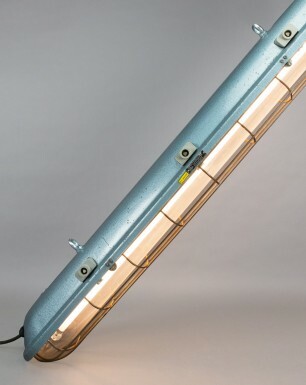 The Alligator is manufactured by Electrotechnik Oberweimar (EOW), a state-owned company specialized in explosion-proof lighting. 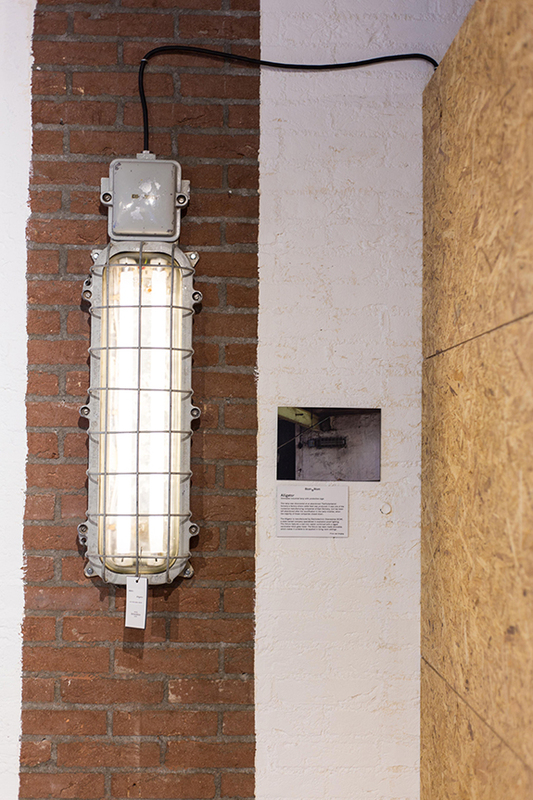 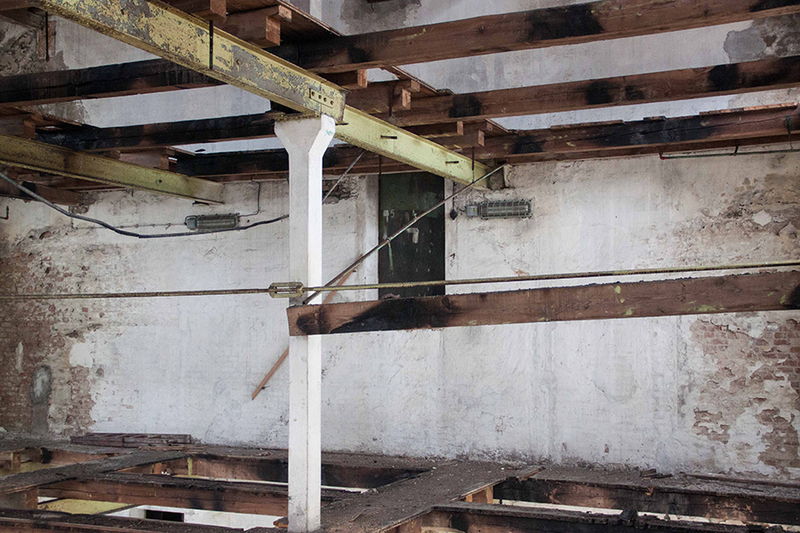 The lamp was discovered at a German ‘Fiehfutterfabrik’, formerly a factory where cattle feed was produced. 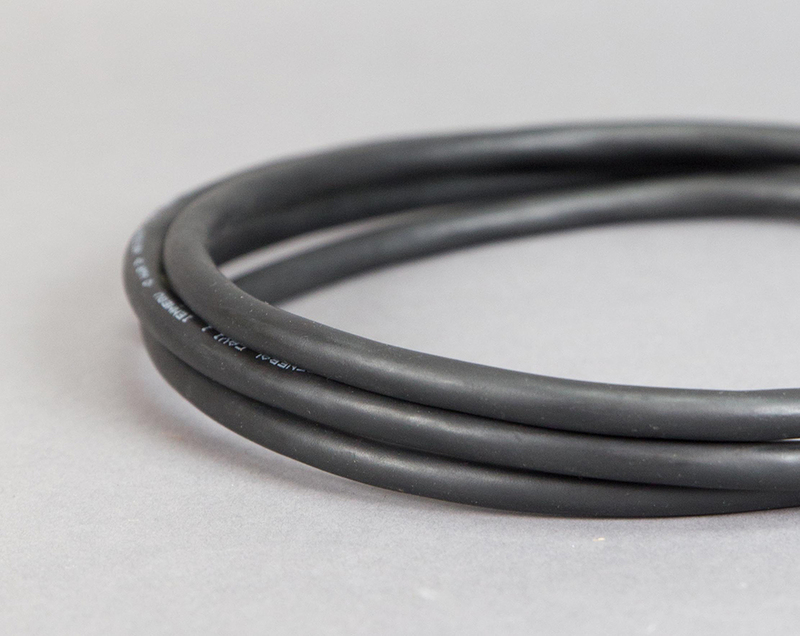 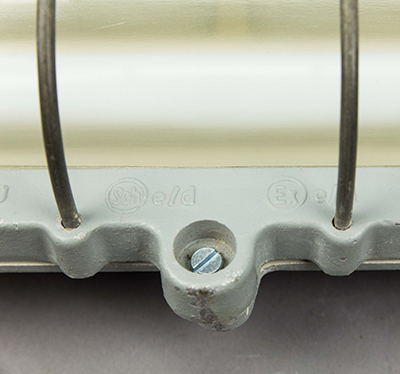 Like the ‘Antilope’ and the ‘Gazelle’, this fixture was used at one of the numerous manufacturing companies of East Germany, but has been left to forgotten after the reunification in the early nineties, when the majority of these companies closed down.